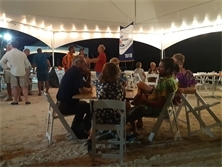 ARC Europe 2018 ended with a packed final prizegiving dinner at Marina de Lagos on Sunday 17 June where close to a hundred crew from 19 yachts enjoyed a celebratory end to a memorable rally. 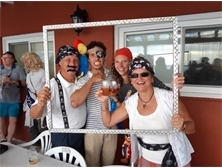 Being a multi leg event sailing west to east across the Atlantic, the atmosphere and camaraderie created during the cruise is very special, made more so by the mix of routes, stopovers and nationalities taking part. 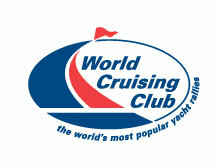 Those who sailed with the rally are at the varying stages in their sailing plans, with World ARC circumnavigators completing their trips, several Europeans sailing west to east at the end of a north Atlantic circuit, and North Americans just starting out on their adventures sailing to a new cruising ground. 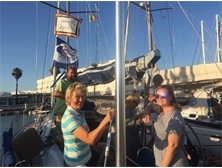 Stories and experiences are shared throughout the rally, and the participants get... Click here for more info..
As the participants of 2018 edition of the west to east transatlantic rally, ARC Europe, arrive at the mid-Atlantic sailing mecca of Horta... Click here for more info..
by Mark Burton, ARC Europe Rally ControlSailors always talk about the weather. 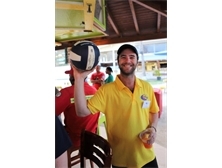 Before you leave a port all you hear is whether the weather... Click here for more info.. 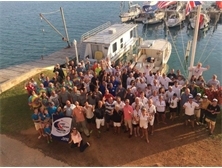 The 2nd leg of ARC Europe 2018 is now underway as 27 boats and just over 100 crew departed beautiful Bermuda bound for Horta, Faial in the... Click here for more info..
On Sunday evening, over 130 crew members from the 30 ARC Europe boats in St. Georges assembled at the Dinghy Club to enjoy an evening of... Click here for more info.. 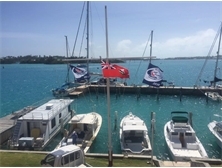 The ARC Europe programme continues in full swing here in Bermuda. 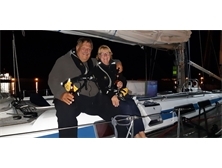 Starters from both Nanny Cay and Portsmouth were all safely moored in good... Click here for more info.. 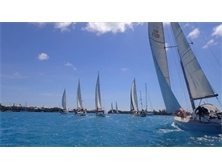 Greeted by cool breezes, crystal clear waters, and the VHF call of Bermuda Radio, the first boats of ARC Europe 2018 have begun to make... Click here for more info..
ARC Europe 2018 has set off towards Bermuda! Yesterday morning excitement was buzzing around the docks as crews made any final preparations... Click here for more info.. 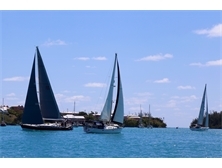 Yesterday was demonstration day at Nanny Cay Marina. Flares and liferafts demonstrations took place all morning with a good attendance of... Click here for more info.. 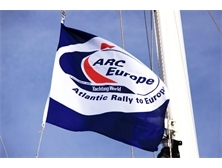 Early yesterday morning the ARC Europe flag was hoisted up the flagpole on the breakwater marking the official opening of the ARC Europe... Click here for more info..
After cruising the islands of the Azores the ARC Europe fleet divides into two groups. 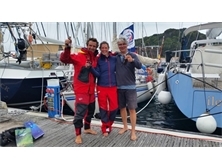 Leg 3A Group are sailing almost due East... Click here for more info.. 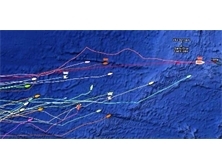 The ARC Europe fleet left Horta (Faial) to spend almost three days on Terceira Island before heading to S. Miguel and get ready for the... Click here for more info..
Saturday was a busy day in Horta with a Skippers’ briefing in the morning, a tour around the island of Faial and the Prize Giving for leg 2,... Click here for more info..
After 1800NM and pretty constant strong winds for the quarter of the fleet arriving in the Azores, several crews have been surprised and... Click here for more info.. 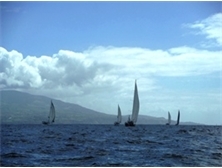 The Azores Cruise covers the two middle weeks of the rally. 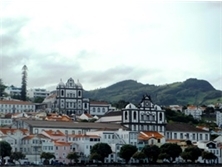 Located 850NM off the Portuguese coast this archipelago is not... Click here for more info.. 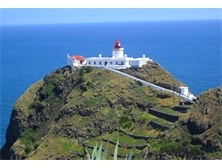 The first boat is now just a few hours away from Horta. 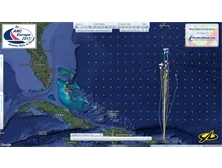 The German flagged X-562, Teamgeist chose a route north of the rhumb line... Click here for more info..
Today was the start of ARC Europe Leg 2 from St George's Harbour in Bermuda at 1100 local time.The strong winds that we have experienced... Click here for more info..
Bermuda Bermuda, she always has a curve ball to throw at the yachts that are visiting here. 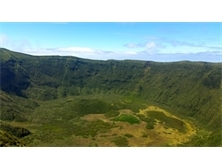 This morning was a completely different... Click here for more info.. 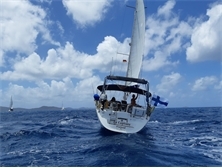 The fleet is around the halfway mark to Bermuda and has been having some great sailing conditions in the SE trade winds for the first couple... Click here for more info..